As Lady Gaga once said, football is a funny old game. Going into their Champions League match with Arsenal on Tuesday night, Anderlecht were seen as lambs to the slaughter. They had won one of their last five league games and would be without Steven Defour and Matias Suarez through injury and Alexsander Mitrovic as he had lost form and gained weight. Youri Tielemans warms up before the kick-off against Arsenal. Young players like Dennis Praet and Youri Tielemans have already got high-profiles but no one seriously thought that the Belgians would get any mind of result at the Emirates stadium. In the event, things went as expected for an hour but then Anderlecht decided to turn up scoring three goals in 30 minutes. Being the Champions League, the come-back had the football world talking and they were talking about Anderlecht. Anderlecht have won 33 titles since 1946, including the last three. 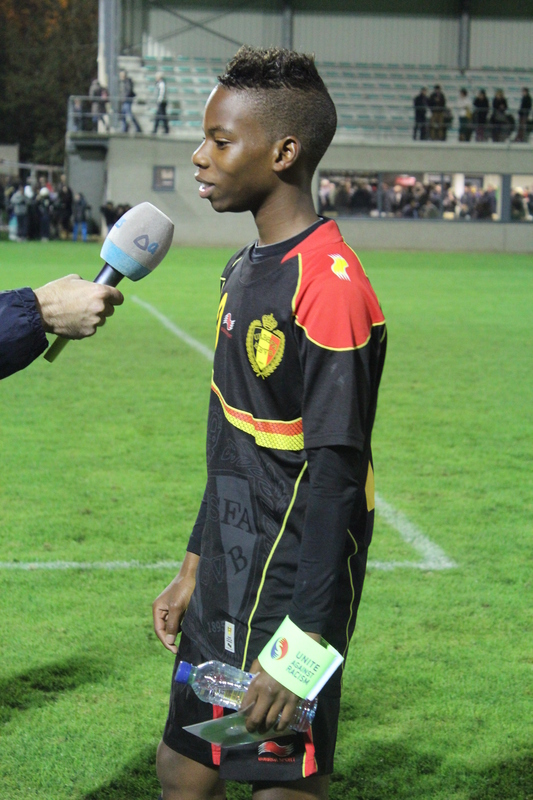 The Brussels club has long had a reputation for youth development, although it has to be said that those youngsters are often picked up after starting their careers at other Belgian clubs, i.e. Praet from Genk. 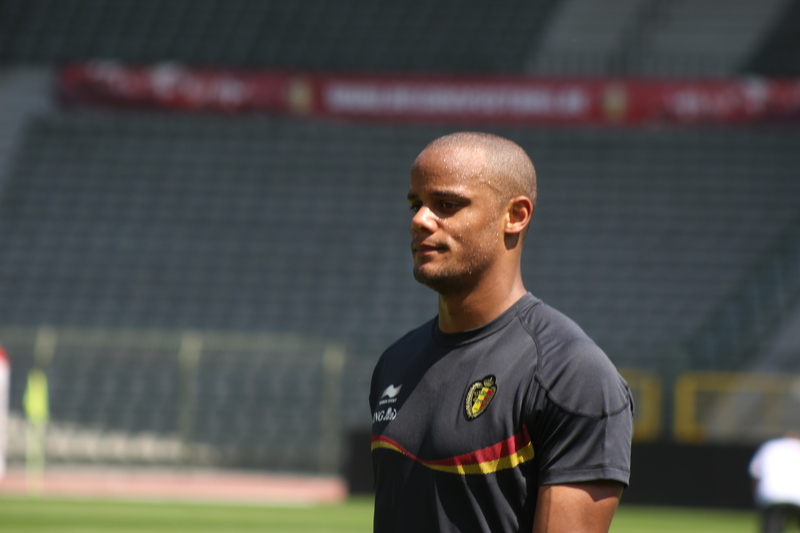 Vincent Kompany and Romelu Lukaku are often cited as the success stories of Anderlecht’s youth policy but others didn’t stay at the club for too long. Adnan Januzaj and Charly Musonda Jr. were two of Anderlecht’s brightest stars but both left for Manchester United and Chelsea respectively before they had signed a professional contract. Now Tielemans is hailed as the true successor to Kompany, seemingly being of a similar temperament and maturity at an early age. Following the club’s exploits at the Emirates stadium, it’s of interest to note just how many players have been selected, this week, for the various Belgian international teams. Praet and Anthony Vanden Borre, the prodigal son, have been selected in Marc Wilmots’ squad to face Wales. There are five players in the U21 squad, including Tielemans and Leander Dendoncker who both featured at the Emirates. Four players feature in the U19 squad, one of which is Andy Kawaya who was an excellent substitute in London. Finally, there are three Anderlecht players in the Belgium U17 squad and seven called up for the U15 training camp; and Liam Bossin is in line to keep goal for the Ireland U19 team. No surprise then that there will be many club scouts turning up at Gent’s Ghemalco Arena on Sunday, when the two top teams in the league meet. Anderlecht will again be suffering with injuries, Chancel Mbemba is now doubtful, but there will probably be at least 10 players aged 20 or under in the squad that travels to Gent on Sunday. Anthony Vanden Borre – Anderlecht’s prodigal son (image: Wikipedia). Talking to Sport/Foot magazine, Vanden Borre said that the youngsters of today tend to get in your face more than in his day. Knowing his reputation, that’s saying something. He added that as one of the older players, he sometimes has to take one or two aside if they get a bit out of control, and give then a slap or two (said with a big smile on his face). Vanden Borre might be thinking now of a return to the Premier League, while Honduran Andy Najar and Congolese international Chancel Mbemba have also caught the eye this season. But it’s players like Praet, Tielemans and Mitrovic – who put his name back on the map with his 90th minute equaliser – who will probably be at the top of visiting club’s shopping lists. Anderlecht will get possibly £30-£35 million for those three players alone and then the whole development process will start again.